Do Androids Dream Electric Sheep was the question and the basis of the book behind the Blade Runner film… Now having a son who has decided that road and especially cyclocross are the cycling disciplines he’s chosen for himself has left an old man thinking similar… So what to do when your ten year old starts to consistently pull away and going up hard trails has you wishing you had strapped on not only a Camelbak but also a portable respirator. Well after one too many times getting dropped, it was time to put my head to the problem and all routes started to lead to an e-bike as he was only going to get stronger/faster as I get slower. 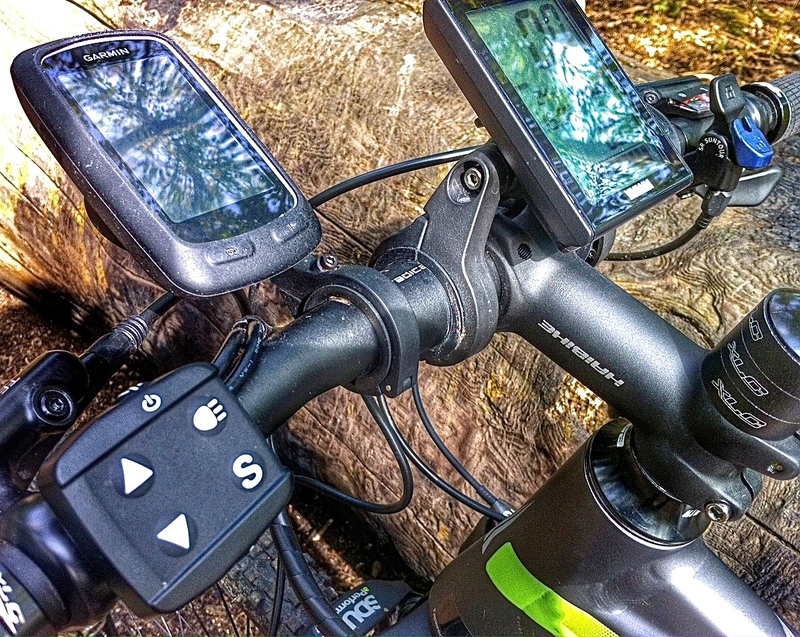 Now as both road and off road duties were required, a mountain/trail bike appeared to be the way to go and the well established German Haibike brand was starting to become a front runner with its extensive range of machines to suit all styles and pockets. Also, narrowing things down after some internet research it appeared that the new sDuro range being available with Yamaha crank assisted power plants (as against the industry norm’ Bosch units) could be the answer to my recurring nightmares. 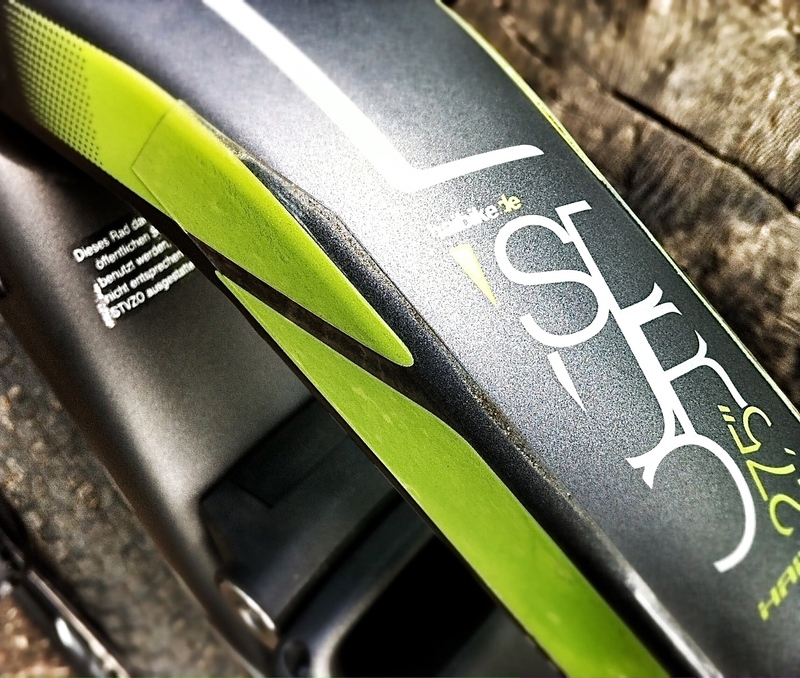 Eventually a call was made to the e-bikeshop being the largest authorised dealer in the South East with an appointment made to view and have a test ride of the brand. 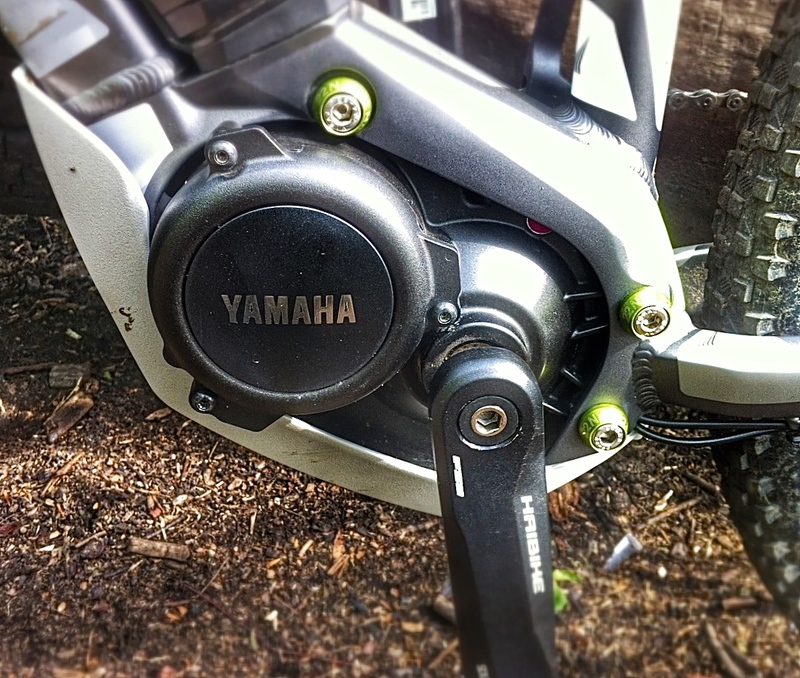 The Japanese power plant Yamaha sDuro machines were also significantly cheaper than their counterpart assisted xDuro e-bikes but at that point awaiting shipment into the U.K. Anyway, I’d ridden motorbikes since a teenager with fond memories of thrashing a Yamaha DT125LC as a youth also making me partial to the brand and its reliability. 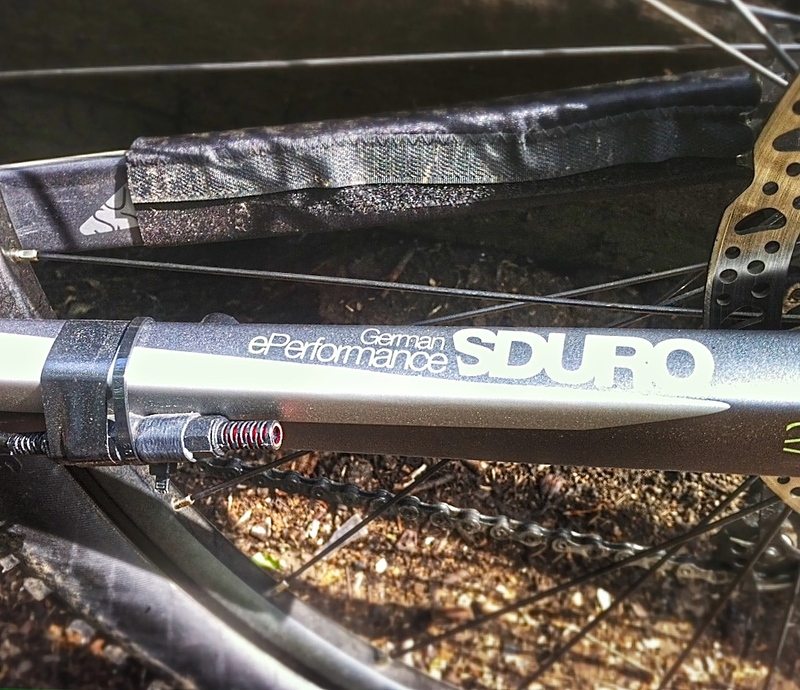 The proprietor Martin was easy as well as professional to deal with and following the test ride on his higher spec’d x-Duro I was convinced that an e-bike was the way forward and an order was placed for a sDuro HardSeven SL 27.5 in the first shipment. Okay, nothing is ever that easy and after a couple of delivery dates were broken due to Haibike I was not impressed but the best things in life are worth waiting for I’m told. Upon delivery in the U.K. the few requested tweaks were completed by the guys with the retro-fitted removable dongle chipping the machine to double its speed (off road only) and a change of hand grips to a more staid black. There was also a few things for me to do in order to have her looking the way I wanted (way too much fluro green) after dropping some protective 3M helicopter tape on the frame. The handlebars were cut down a total of two inches and the Rapid Rob tyres were removed for smaller profiled Kenda Nevegal’s that would also roll better on the road. Decals were removed from the rims/forks and a water bottle holder attached to the seatpost (why there is no fitment on the bike I can only wonder as a muddy bottle on the rear post does not taste good) plus the handlebars were also lowered and the stem flipped for a more aggressive stance. 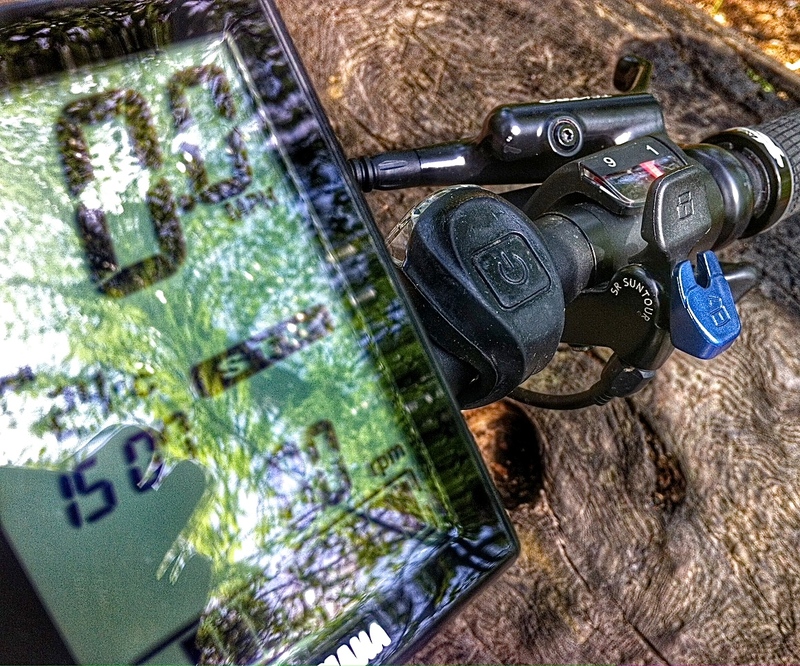 Plenty of reviews are on the net of the HardSeven SL and I pretty much agree with all that is said… The Yamaha crank assist does load up faster than the Bosch unit I test rode with virtually no lag and is very quiet in operation. Range is also excellent in the real world with after a 37 mile road ride taking up the rear guard of a ride-out with the boys cycle club still leaving 40% of juice available. Charging is just over a couple of hours and battery removal is a doodle though it is easy to spin out in the highest gear so a new front chainring with a few more teeth is a necessity on the road. 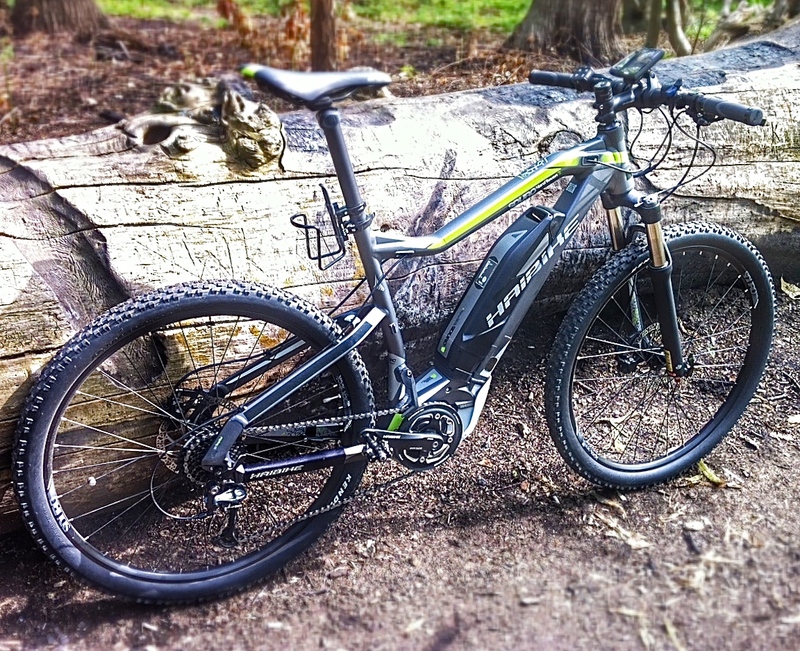 On trails it has never let me down taking the likes of Hog Hill aka the Hoggenberg in its stride. Fit and finish is also excellent though the decals on the battery do not appear to be lacquered and may not last the distance. Okay, I’ve had to put up with cheesy jokes from fathers of other youth cyclists such as “how’s the disability aid machine going” or “next you’ll need a chair lift for the stairs” etc etc, but I have no interest in having a cardiac just to keep up with the ever increasing speed of my lad or paying money to ride a sportive or worse signing up for the Roubaix…. I’ve found my ideal choice of steed and just like my KTM SuperDuke it’s powered up and waiting for the next ride (even if I’m not). UPDATE: So far in seven months two chains have snapped (KMC/Shimano) maybe due to the torque when changing gear. 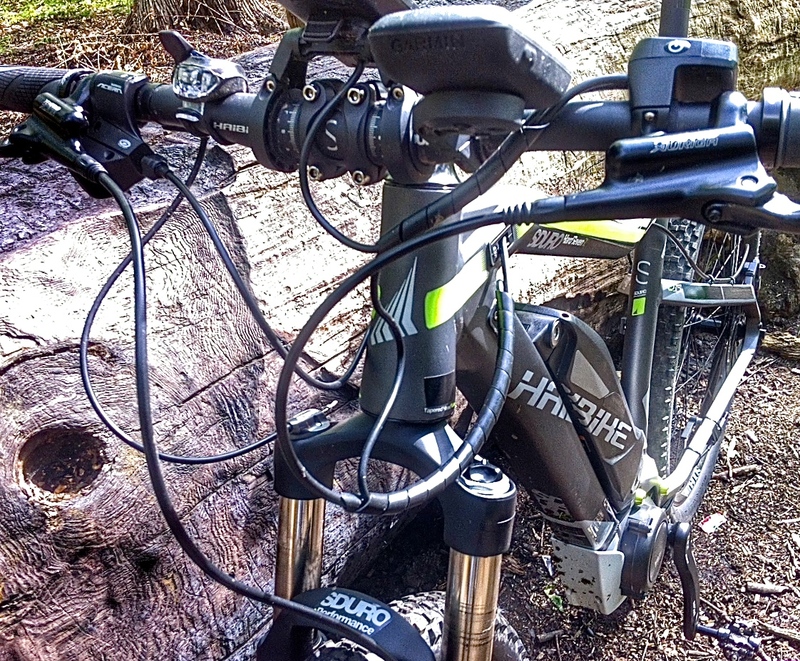 If it happens again I’ll go for a Wippermann Connex but my thinking at the moment is that standard chains on mountain e-bikes are a no-no. UPDATE 2: Now for road/trail duties I’ve gone for a new chainring and tyre set up. The 38T 104 bcd chainring being replaced by a 44T and removing the chain guard which pushes up the gearing giving approx’ 1 meter extra for each revolution of the crank in the highest gear (the lowest gears are pretty redundant on road and trails anyway). 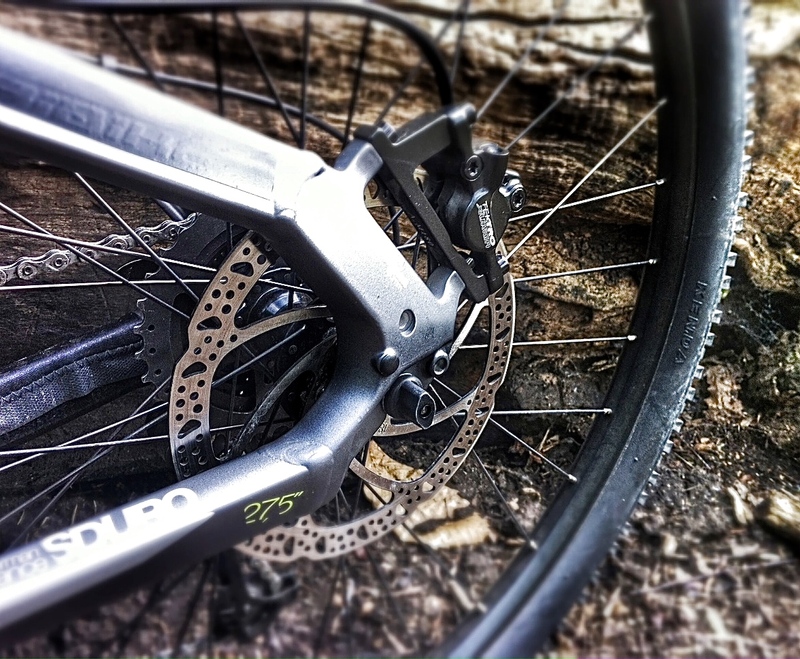 The 44T Shimano FC-M540 will just fit on the inner side of the crank with single chainring bolts and using a Dremel to hollow out the chain catcher allowing for more space. Also, tyres were needed that could run on the road and take light trail duties in the Summer months. Now after some searching I went for the Schwalbe Hurricane’s having a dual compound and a fast rolling centre with high side knobbles for carving. 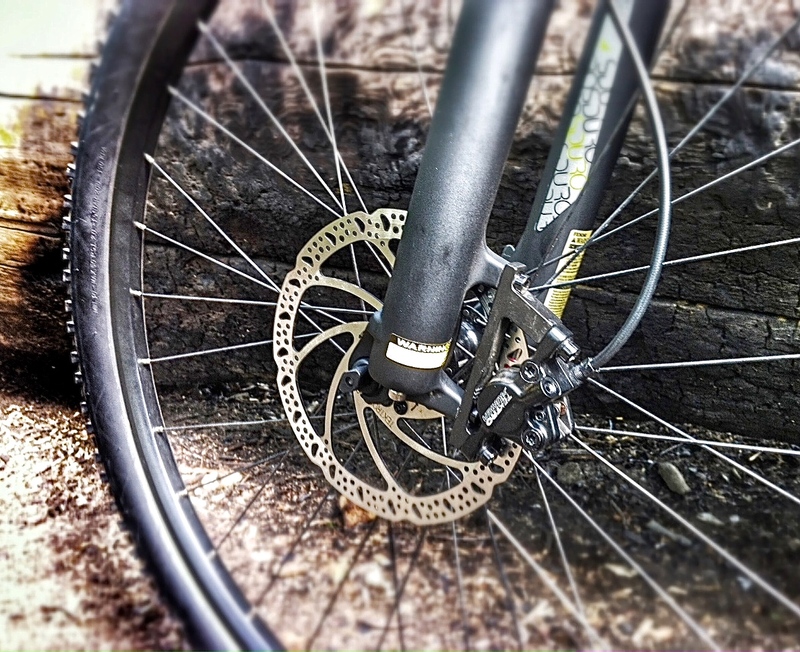 These have been a revelation on the road as well as being superb around the trails of the 2012 Olympic Mountain Bike course at Hadleigh Park. I’ve addressed the question above…. for the same reason, that I was over spinning, I’m going through chains like crazy, each time my lbc are selling me 2 chains as they said the KMC X10e 10 Speed wouldn’t be long enough. what do you reommend going for? plus what length chain do i require? 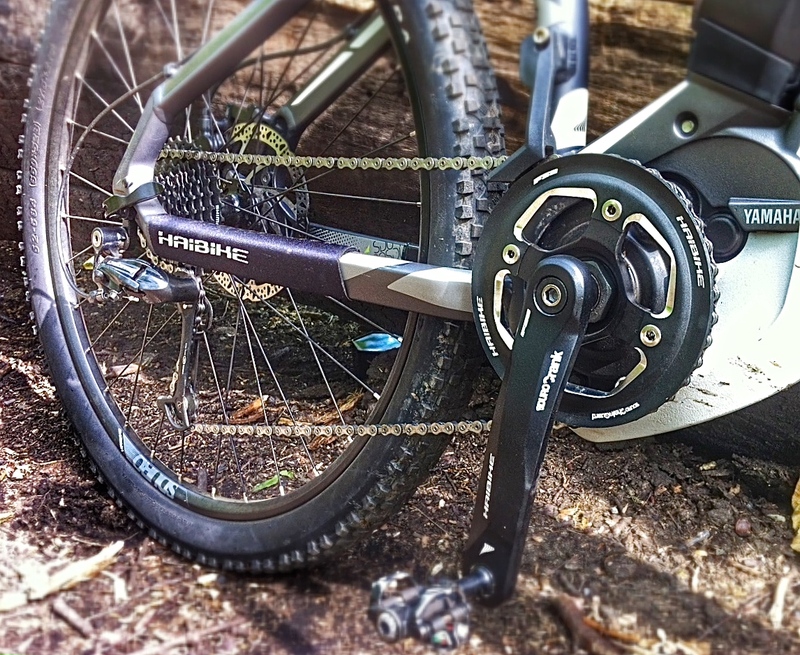 Shimano HG50, 11-36 Teeth, 10-Speed Cassette? My SDuro is 9 speed but here should be no issues running this chain ring on a 10 speed chain. thanks for the feedback, i made the “mistake” of not buying via Martin@ e-bikeshop, now reliant on forum’s and google for advise.